Studied: Herron Sch Art, BFA; with Stanley William Hayter & Will Barnet. Exhibited: Hoosier Salon, 1944 (prize); Wash. Herald Exh., 1945 (prize); Ind. A., 1946 (prize); SFMA, 1942; Tex. Pr.M., 1942; NAD, 1943; Kans. Pr.M., 1942; Armed Forces Exh., Albany, N.Y., 1944; Ohio Valley WC Soc., 1944; Hoosier Salon, 1944; Indiana A., 1941 1944, 1946, 1949-51; Corcoran Gal., 1947; Indiana AC, 1950; Old Northwest Territory Exh., 1948, 1949, 1951; PAFA, 1948-52; Phila. 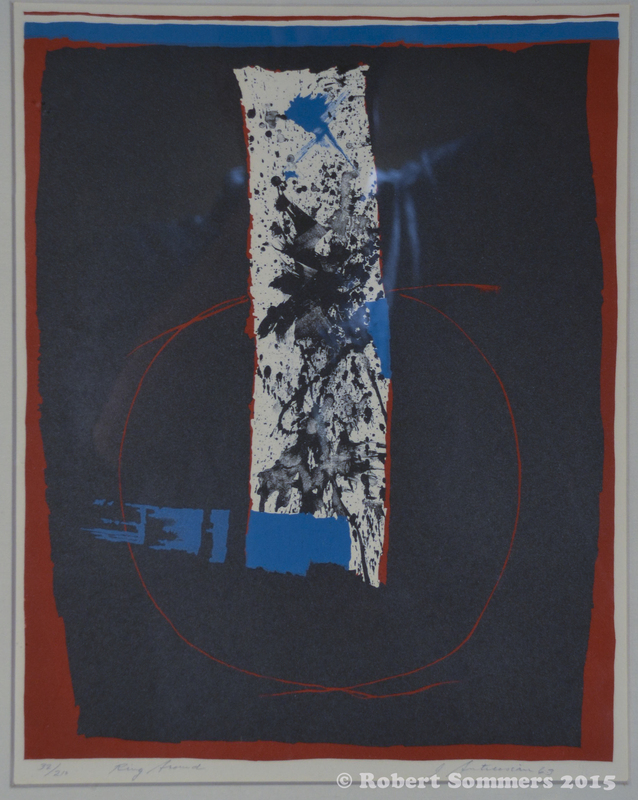 Print Cl., 1948, 1950, 1951; BM, 1948-52; USIA European Traveling exh., 1959, 1963, 1964; WMAA, 1966; Nat. Print Exhib., Northern Ill. Univ., 1968 (purchase award); Nat. Print Exhib., State Univ. NY Albany, 1968 (purchase award); Tamarind: Homage to Lithography, MoMA, 1969; Recent Suites, Jewish Mus, NYC, 1969; US Pavilion, Venice Biennale, Italy, 1970; First Hawaii Int., Honolulu Acad. Arts, 1971 (prize); Int. Exhib. Graphics, Montreal, PQ, 1971; British Int. Print Biennale, Bradford, Eng., 1972; Martha Jackson Gallery, NYC, 1970s; Malvina Miller Gallery, San Francisco, CA, 1970s . Work: MMA; MoMA; Solomon R. Guggenheim Mus., NYC; AIC; LACMA; U.S. Coast Guard Acad., New London, CT. Commissions: History of Indiana Univ., Bloomington, Ind., 1954; Lincoln in Indiana, (with Ralph Peck), Ind. State Off. Bldg, Indianapolis, 1963. Comments: Teaching: instr. art, Herron Sch. Art, Indianapolis, 1948-1964; prof. lithography & art, Univ. NM, 1964-. Positions: tech. dir. lithography, Tamarind Lithography Workshop, Inc., Los Angeles, Calif., 1960-1961; tech. dir. lithography, Tamarind Inst., Univ. NM, 1970-1972. Publications: Co-auth, The Tamarind book of lithography: art and techniques, 1971. Sources: WW73; WW66; WW59; WW47.